There is an old adage that music is the universal language. Music is so deep a part of the human experience that it affects our brains in a way that no other activity or creative art does. It makes sense, therefore, that music would be such a popular language of expression for the relationships we have with the gods. We use music to help us focus our meditations, to communicate our experiences, to engage in worship — even just to feel connected in our everyday lives. The lyrics of this song remind me of my relationship with Wepwawe. It also has a sound that I associate very strongly with him – that deep, distorted bass at the beginning of the song especially. The chorus of the song is probably the most obvious connection – “I will guide you in the night” – but there are other parts too. It’s all around a feel-good jackal tune. This is the newest addition to my playlist. The first time I heard the song, my mind immediately jumped to the Jackal. 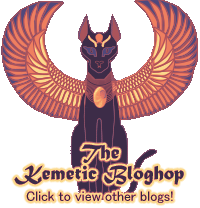 Not that I think Wepwawet believes we’re “all gonna go to Hell” – but I’ve noticed a big carpe diem trend with most of the death-gods in the Kemetic pantheon, and Wepwawet is certainly no exception. In our relationship, he has always encouraged me to get my hands dirty and jump in with both feet while I can, because there’s no guarantee of tomorrow. I’ve also noticed a little bit of a hedonistic streak in there — as Oscar Wilde said, “all things in moderation, especially moderation”. I don’t know that I have a satisfying explanation for this one. Again, it’s probably unique to my relationship with Wepwawet. There’s something in the composition, the way it builds to a breathless fever pitch; the way Daltrey pleads for love to reign over (and rain on) him; the way the thirst for love is written almost mystically — it all speaks to the quiet, brilliant sagacity I’ve experienced from my Father. Wepwawet has popularly been associated with travel, as his name means “opener of ways”. Along with the way the drumming in this song seems to suit him, it really is that simple – a song about taking to the open road, for a god whose associations include the open road. Do you ever just hear a song and instantly know it’s going to be forever associated with your god for you? I had forgotten about this song for a long time, until one day it popped up on a throwback playlist. The second I heard Chris Cornell plaintively singing the chorus, I knew it had to go on my Father’s playlist. I am seriously bummed. The album version of this song has been taken down from YouTube. This is the next best thing, but there’s nuances that are missing. Anyway, this song is about as personal to my relationship with my Father as it gets. This is the first song I began to connect with him after my RPD. It was on my iPod nonstop as I got to know him. Even now, I still listen to it and hear his voice speaking to me, reminding me that the RPD was not the end of my journey. For (probably obvious) reasons, there’s a lot of people who associate Wepwawet with the Doors. Now, don’t get me wrong — I really love the Doors. But there’s something about this collision between dubstep and classic rock, especially with the almost premonition-like quote from Jim Morrison about the music of the (then) future that is sampled in the middle. I’ll be honest: I’ve got no good reason that this song stays on my Wepwawet playlist, other than the fact that I feel like he likes it. And that’s good enough for me. Last but certainly not least is a most fitting song for a psychopomp. I don’t know whether this one needs the explanation, but in case it does — the song is really about two loved ones dying close together to follow one another into death. In my view, though, Wepwawet will go with me into the mysterious whatever that comes after death. Ergo: he will follow me into the dark. And there you have it: my Top Ten Tunes for #TeamWepwawet. Don’t forget: #TeamWepwawet is an effort to support Wepwawet in the House of Netjer’s Praises of Netjer fundraiser. 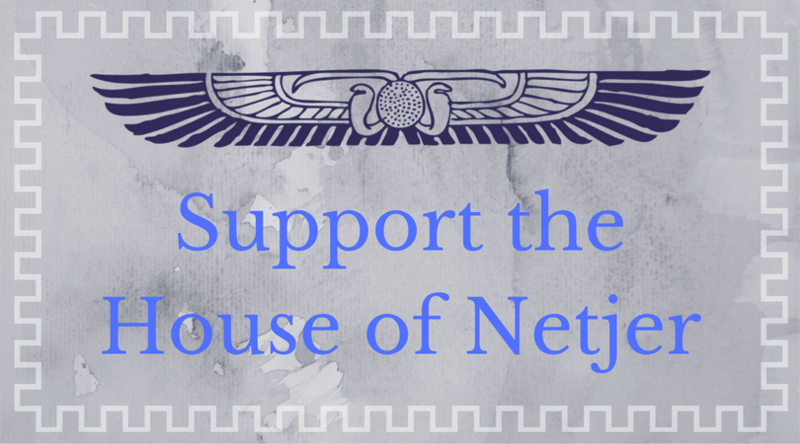 Click on the banner above for details on how to vote in the contest and support the House of Netjer. Previous Post Go Team Wepwawet!